GiftBasketsOverseas.com specializes in sending high-quality gift baskets throughout the world. The U.S. based company works directly with established, local florists and gift delivery agents to provide clients with secure payment options, online ordering convenience, and multilingual customer service representatives, available 24x7. ‘Cuz…you know…I just want a gift.’ Sure, that’s a worthwhile protest, and I see your point. But if you wanted some faceless company, run by corporate droogs with no personality, you wouldn’t be here, would you? 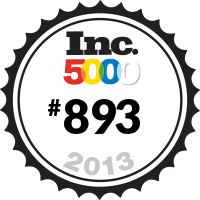 In 2013, the company was ranked #893 on the 2013 Inc. 500|5000 list of the fastest-growing private companies in America. The company ranks #37 in growth in the state of Massachusetts and #34 in the Boston Metro Area, where its headquarters is located. 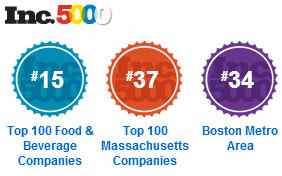 Additionally, GiftBasketsOverseas.com ranks #15 in the Top 100 Food & Beverage Companies list. 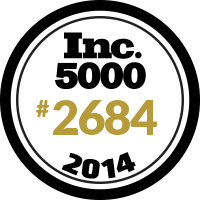 In 2014 the company made the prestigious Inc. 500|5000 list again after celebrating a remarkable milestone of 200 countries in its delivery service area and launching website in German language. Gift Baskets Overseas strives to make it possible to send luxury gifts to friends and loved ones all over the world, and in its quest to fulfill its mission to facilitate International Friendship and Gift Giving, to encourage True Love Without Borders, and to promote Innovative Products, no company or order is too large! The company's unique delivery and acquisition strategies, unparalleled customer service, and impeccable quality gifts make Gift Baskets Overseas particularly suited to meeting the gifting needs of VIP gift senders and Fortune 500 companies. With representatives waiting to process orders 24 hours a day, 7 days a week as well as special international corporate gift discounts for bulk orders, it's no wonder that such companies as Dell, Microsoft, HSBC, Interstate Batteries, Ferring, BioMet, and many others are working with Gift Baskets Overseas any time they're ready to send gifts to honor their employees and business partners. Few are as able to get the team going like Irina. She's always got a smile on her face, and she's always ready to use her talents and experience to manage our Customer Service Department. She loves to help customers and employees, and she is an exemplary example of traits our GBO culture values. 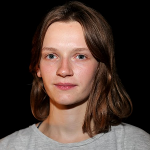 Hardworking and resourceful, Julia is the person to turn to when you need anything delivered anywhere. 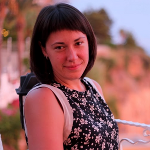 As our Supplier Relations Manager, Julia's team is the one that develops our locations in new regions, and makes sure all the products, deliveries, and services are excellent. Carmen started simply with GBO, writing product descriptions for the online catalog, but true to GBO form, she has worked her way through a number of departments. Now she's our Manager of Marketing and Business Development, helping to bring you exclusive promotions, expert content, and keeping track of customer experiences. Hail to the Chief! 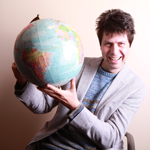 Gift Officer, that is - CGO; here at GBO, the CGO is a CEO who is also an international gift expert. Dmitriy is always working; some of us suspect he never sleeps - and we want the secret! This whole global gift basket venture is his Big Idea, and he's a huge part of all the departments because he's constantly making the company better with ideas right from our customer service representives, corporate gift specialists, and our various administrative and marketing professionals. Athletic, detail-oriented, and possessing of a take-charge attitude in the best possible way, Oliona brings tons of life experience to GBO. 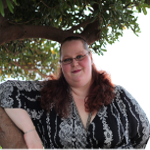 She manages our massive online catalog, and makes sure all the products on the site look and sound delicious. 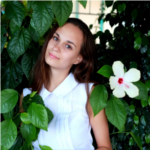 Oliona is also a big part of the team that's working to bring our brand and products to people in their native languages around the world. She'd be a welcome addition to any team, and we're happy to have her here. Katherine’s empathetic heart and real desire to find helpful solutions makes Katherine one of our most valuable team-members. She brings her talents to managing our 24-hour Customer Service Department, and to being one of our very zen Customer Satisfaction Managers. Katherine's great at making every single order seem like the only one in the world. Vadim's creative ideas and wide range of interests are just perfect for an eCommerce company that listens to its customers. That's why we're so happy to have him in the SEO, SMM, and Website Development departments. From figuring out the best ways and times to reach out to the people who need us, to helping clarify our message and mission, Vadim is truly an important part of the GBO experience. Mr. Caspe has founded and served as CEO for numerous companies in several industries including medical electronics, machine vision, graphic arts, photojournalism, and consumer electronics. Under Mr. Caspe’s leadership, these companies have developed everything from integrated computer system products and software to embedded systems and custom integrated circuits. Common threads throughout all of these companies are the fields of signal processing and imaging. Mr. Caspe is also a professor of Marketing at the Babson Olin School of Business (Wellesley, MA).